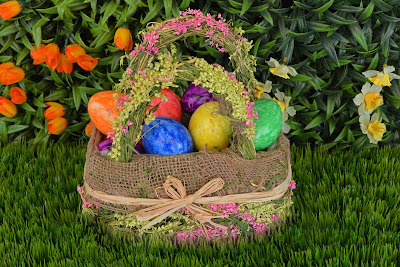 Before heading to the store to buy Easter egg dye kits this year, why not stay home and make homemade all-natural Easter egg dyes this year? Simply gather up some fruits and veggies from your kitchen and get ready to decorate hard-boiled eggs that will be safe to eat after the hunt is over!! Place whichever fruits or vegetables in a saucepan with about 2 cups of water, and bring to a boil. Simmer for 20 minutes. Remove from the heat and strain through a fine-mesh sieve or colander, reserving the liquid. Add 1/4 cup of white vinegar and stir until combined. Then go ahead and place the hard-boiled eggs in the dye. 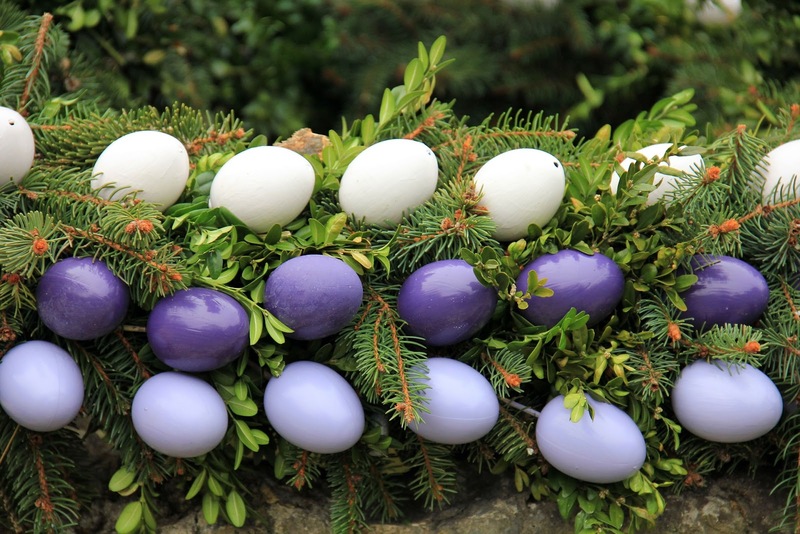 Remeber the longer the eggs sit in the liquid, the brighter their colors will be. If you are using fruit to make egg dye, try using blueberries, blackberries, strawberries, cherries and cranberries to make pretty shades of blues pinks and purples. If you are using vegetables to make dye, use red cabbage, beets, yellow onion skins, and carrots to get blues, reds, orange and yellow. Place 4-5 Tbs. of spices and 2 cups of water in a saucepan and bring to a boil. Simmer for 15 minutes. Remove from the heat and strain through a fine-mesh sieve or colander, reserving the liquid. Add 1/4 cup of white vinegar and stir until combined. 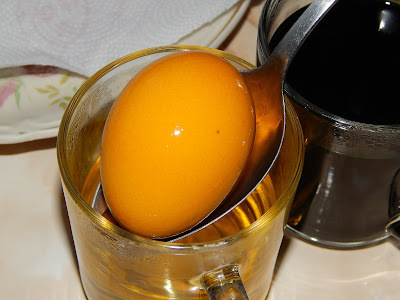 Let the liquid cool to room temperature and dye your hard-boiled eggs. .
Coffee and other spices like ground turmeric and paprika can make wonderful brown earth tone colors for dying eggs. Brew tea in 2 cups of water. Then add ¼ cup vinegar to your tea after it cools down. Now you have an easy-peasy safe Easter egg dye for kids to use. Try using juices to make simple home-made egg dye too. Grape juice makes an awesome safe purple dye eggs - let the eggs soak in he liquid, dry and decorate!